Alps & Meters is headed to the Snow Polo World Cup in St. Moritz next week, and to prepare we enlisted Alpinist James Jung (aka @theapresski) to get the inside scoop on the best après haunts in town. Read on for James’ guide to the best spritz in St. Moritz, and be sure to let us know if you’ll be in town during Snow Polo. We’d love to meet you at our cocktail party with The Rake from 6-9 on Friday, January 25th at Badrutt’s Palace. RSVP here. Despite hosting two Winter Olympic Games, multiple Alpine World Championships, and countless World Cup races, St. Moritz is a resort perhaps more famous for its scene than its skiing. But that’s the reputation you get when the jet set’s been flocking to your town for nearly a century. From Charlie Chaplin to Audrey Hepburn to Brigitte Bardot, Hollywood has always been at home in this posh Swiss ski resort set high up in the broad, sunny Engadine Valley. Titans of industry with a flair for fashion and a penchant for a good time have made this their winter retreat, too, most notably — over the years — the late Gianni Agnelli and Gunter Sachs. Today, the “glitz” remains a swinging good time and a throwback to a more swaggering age. And though the skiing remains stunning — the resort is spread out over five ski areas, and guests spend their days on high, treeless peaks overlooking serrated mountains and frozen lakes — it’s the action off the slopes that draws the fur-clad crowd. 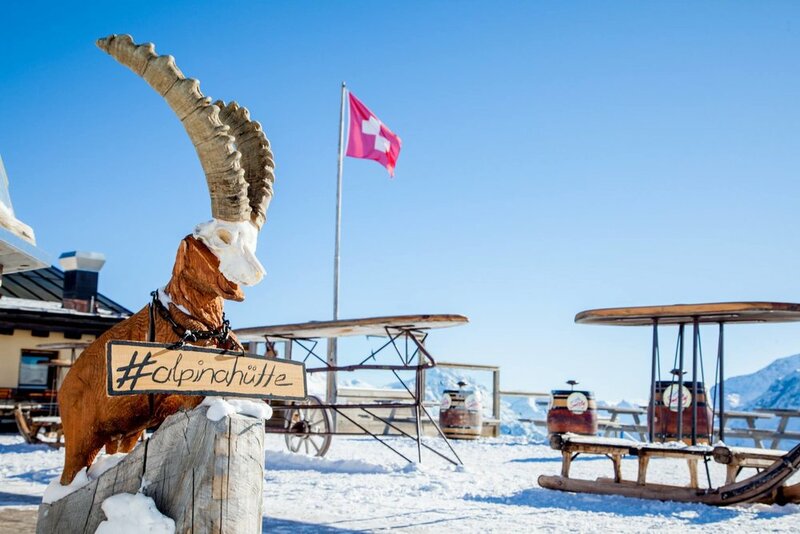 Set on the Suvretta side of Corviglia (St. Moritz’s main resort), this on-mountain restaurant is the spot to get après-ski started early. The fondue and oysters flow heavily here, as does the Prosecco. Grab a booth outside at the club level (there was a $100/day fee to party on their luxe and exclusive terrace in the past, but what do you expect if you’re vacationing here?). Sheep skin throws keep you warm, but with the sun almost always out you should feel toasty. 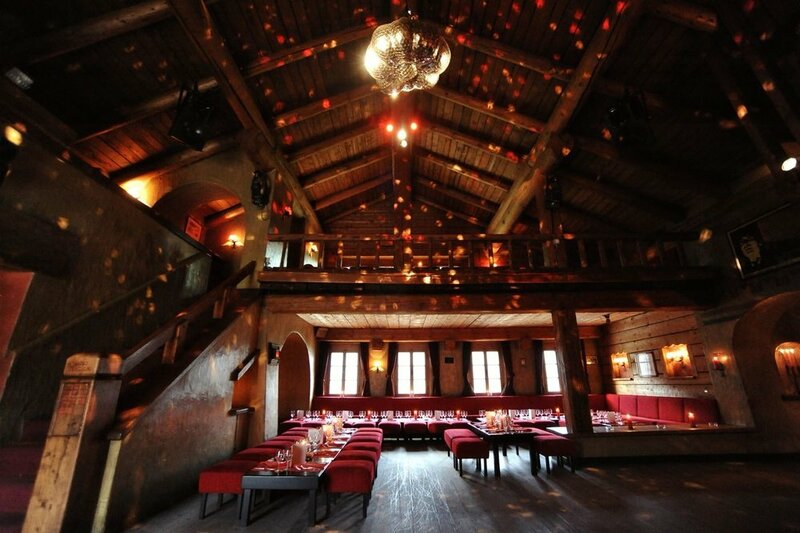 Less upscale than el Paradiso but no less fun is Alpine Hutte, a mainstay in St. Moritz’s lunch and après scene. Also located on the mountain, it pairs mountain views with hot food and crisp beers. Grab hearty fare either inside the rustic wooden hut or outside on the tiered terrace (the spaghetti bolognese is simple, delicious, and fortifying for the skiing ahead), or end your day here lounging in one of the cabana chairs while a DJ mixes blissed out tunes. 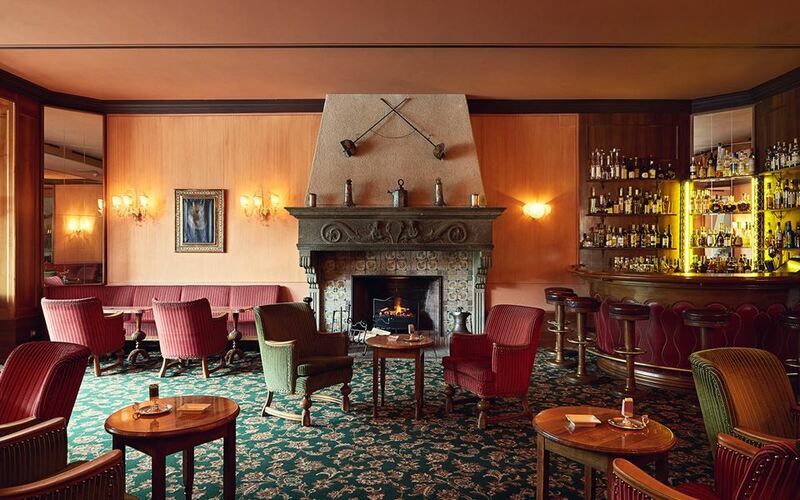 Located in Badrutt’s Palace, arguably St. Moritz’s most iconic hotel (which is saying something given the grandeur of the digs in town), the Renaissance Bar is a trip back to a more sophisticated era — like something out of Midnight in Paris. Think crackling fire place, wingback chairs and banquets, women in gowns, men in blazers. This isn’t the place to clomp in still clad in your ski boots (in fact, they won’t allow it), but it is a hell of a spot to grab a bellini or two before dinner. Who knew one of the most popular spots in town would be a restaurant in an old construction trailer. Run by local boy Max Schneider and his wife, La Baracca caused quite a stir when it opened its doors opposite the Signalbahn cable car some 15 years ago. Go for the Argentinean style steaks and the bar scene, where you’re sure to mingle with heiresses and ski instructors alike. This is will be La Baracca’s final season in operation, so don’t miss out. Amid St. Moritz’s hodgepodge of architecture, this beautiful old farmhouse is perhaps the most authentic building in town. There are two restaurants here, but it’s the pizzeria that’s the better time. The rough hewn wooden dining room is gorgeous, and the pizzas are equally good. Grab a drink first in one of two tiny alcove bars, the Polo Bar and Bar Carigiet. Both are so small and hidden that it’ll feel like you’re drinking in secret (but, hey, you might do that all the time). Set in a chalet above the bobsled course, this club always seems to be erratically open. Its door policy is as tough as something out of Bright Lights Big City, but if you make it through chances are you’ll dance till dawn with blue bloods, scions, and the odd movie star. You know, if that’s your thing.